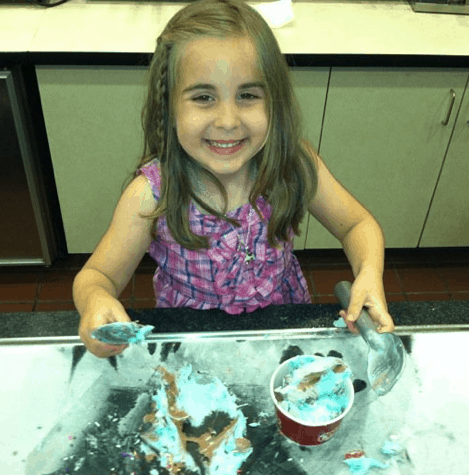 Natalie was invited to a Cold Stone Creamery birthday party and it was really cute. The kids first learned how the company makes their own ice cream and THEN she got to go behind the counter and mash up her very own cup. Look at that face! She was SO EXCITED!!! Cold Stone is so awesome. My kids are older and still love to create their own concoctions. lol She is SO happy. Love it! I had no idea they did parties! I like this idea for a party- different and fun- not gift centric.